The Get in Motion Tour is coming to a city near you. It’s for anyone interested in making films with your DSLR. I shouldn’t say “making films” because you can also include wedding and event videos. I’m going to get ahead of myself here and say one of the things the presenters talked about was the fact that photographers already have existing relationships with clients. You might be a senior photographer, or a portrait photographer, or a baby photographer; you get the idea. Well, video is just one more service you can offer. Okay, on to the review. I attended the workshop last night in Orlando. A bit late on a school night, but overall I thought it was worth it and for 49-bucks a great value. I have to say that I didn’t learn a lot of new things, but that has more to do with my experience and is no reflection on the instructors. My first job out of college was as a news videographer; that’s where I learned the principles of photography (lighting, composition, white balance, etc.). I also know about the 180-rule and not “breaking the plane”. The first part of the workshops is spent talking about “storytelling”; why it’s so important to draw a viewer in and how to do it by shooting sequences. How those sequences are edited together is part of the story telling process. Even though I already knew this, it was a good reminder. When I worked in TV news, I knew the best way to tell a story was to personalize it. If I told you about a guy who was murdered or that the housing market was bad, you might not care. But if you heard from the dead guy’s pregnant wife or the mother of three who is about to become homeless, you might care a little more. In other words, I want to tell you their story. It’s not enough to just string together some beautiful clips. The site claims you will learn how to make videos for events, birth announcements and weddings. You don’t, per se, learn the nuts and bolts of how to do it, but they do show examples which can give you inspiration. In fact, most of the course consisted of showing examples. In a couple of cases, you see the same video clip shot or edited differently to contrast technique. Then the course goes into gear, specifically lens selection and what kind of look and feel it gives. They also talked about monopods, microphones and recorders. The course wrapped up with some editing techniques in Adobe Premiere. I wish they had talked about a few things that some beginners may not know. Someone in the audience asked about frame rate; and while the instructor answered the question, he didn’t address how this affects your shutter speed. As a general rule, your shutter should be at twice your frame rate. So at 24fps, you should be at 1/50th of a second. There was also only a passing mention of focusing at narrow apertures. It might be helpful to know that following focus is very difficult (if not impossible) when shooting at f/1.2 or 1.8. There was also no mention on lighting or lighting gear (they did have a couple of hot lights with reflective umbrellas for a live shoot but there was no mention of them). I think it’s assumed that photographers have this knowledge but most of us use flash and not continuous lighting. Again, I can’t say I learned a whole lot, but it was good refresher. It was also inspirational and I did pick up some tips on syncing audio and doing some post processing on video clips. If you’re just getting your feet wet or haven’t even dipped your toes into DSLR video, then I would definitely recommend going. If you’re an intermediate, then it’s 50/50. I would say if you have the time, $50 is not much for a 4 1/2 hour workshop. You at least get some food for thought. Note: If you want to go and need the discount code, David Ziser sent one out. It’s: DPTBLG. Most DSLRs come in one color: black. Pentax offers a few varieties and now Canon is jumping in by offering the Rebel T3 in three different colors: Metallic Gray, Brown and Red (in addition to black). The colors are only available at the Canon online store. The company is also offering a rebate up to $200 on select T3 kits. 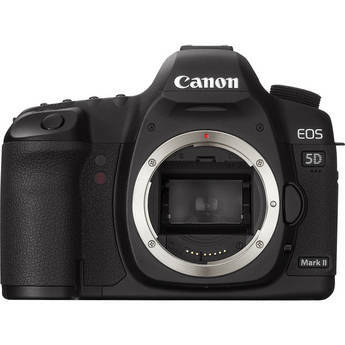 Is it just me or has the price of the Canon 5D Mark II jumped recently? I used to see it on Amazon for about $2500. At last check it’s running from $2799 to $2999; and only from other vendors (not Amazon). A check at B&H has it at $2699. This may have to do with supply disruptions in Japan from the earthquake or perhaps a sign of the upcoming 5D MKIII or both? Or maybe it’s unrest in Libya and speculators on Wall Street. Uh, ok, maybe not that. I’m curious, have you noticed a price increase in other camera gear (lenses and bodies of any brand)? Hit me in the comments. UPDATE: This post on Nikon rumors shows that Nikon cameras and lenses are also going up in price. So it’s probably due to supply constraints in Japan. UPDATE #2: As of 5/7/11 the price has come down again and offered by Amazon for $2499. One question I get asked a lot is “which DSLR should I get”. Whether it’s a first purchase or an upgrade, the answer usually depends on what type of shooting you want to do and your budget. About a year ago, I found a Web site that makes it easier to find what you’re looking for. At Snapsort.com, you can learn about cameras, explore different types or just type in your budget and kind of camera you’re looking for; whether it’s a DSLR or point-and-shoot. But the tool I like and use the most is the compare feature. What I like about the compare feature is being able to compare the specs of two cameras side-by-side. The site used to declare a “winner” which I disagreed with. Now it just gives each camera a score and gives a recommendation. I even take this with a grain of salt. You see, the “winner” or recommendation is based on specs; but your needs may be different. Compare, for example the Canon 5D MKII with the 1D MK IV. The 5D is full frame but shoots just under 4 frames per second. Where the MK IV has an APS-H sensor and shoots 10 frames per second. Which is better? It depends on what you shoot. A sports shooter would love the MK IV where a landscape photographer would choose the 5D. Still, being able to see the specs side-by-side for yourself is a quick and convenient way to decide. The cameras are evaluated on things like resolution, ISO, viewfinder coverage, LCD resolution, video capabilities and more. 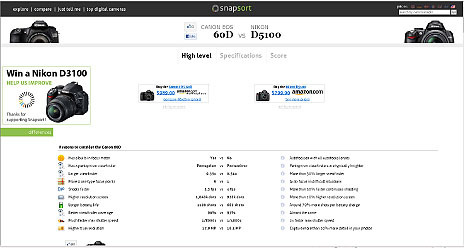 Nikon and Canon’s Web sites let you compare its models; but the Snapsort site lets you compare any make with another. So you can compare Nikons with Canons or Sony’s etc. Apples and Apples or Apples and Oranges. Pretty handy if you’re trying to decide which brand to go with. 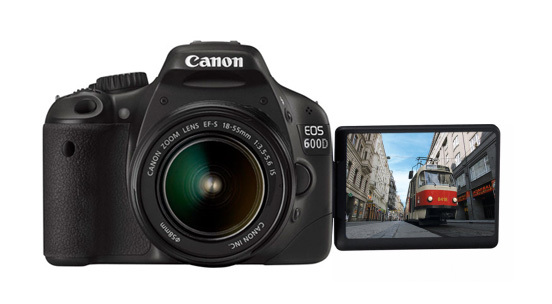 The comparison gives you reasons to consider each camera and gives you a list of competitors to consider. To find the right lens, use the tools at LensHero. Simply input your camera, budget and what type of lens you’re looking for and it spits out recommendations complete with specs, prices and reviews. So if you’re struggling with choosing the right camera or looking to purchase that next lens, these two stops will make researching a lot easier and help you make the right choice. If you’re looking to save some money on Canon cameras and lenses, the company is offering a “friends and family” deal of 10% off refurbished items in its online store. I have no idea what quality “refurbished” would be, but I imagine it would meet Canon’s quality standards; and hey, you can save even more with the discount. Use code “FAM211“. Offer is good through March 14 or while supplies last and looking through the list, some items are already gone. From the good folks who take apart DSLRs, comes this video of a look inside a Nikon D7000 . (Don’t bother with the audio, it’s not in English). In other Nikon news, Nikon Rumors is reporting that the D5100 release is just weeks away. It could have 11 auto-focus points and possibly a 16.2 MP sensor. Details here and here.